If you come by train, from the Midi Station, take the tram 81 (before 8PM) or 83 (after 8PM), direction “Montgomery” up to “Trinité” stop. Two minutes walk and you are home. If you arrive by plane, cab drivers will know the road. Otherwise just take the train transfer to the Midi Station and then tram to our neighbourhood (see paragraph above). If you want to reach us by car: trust your gps. 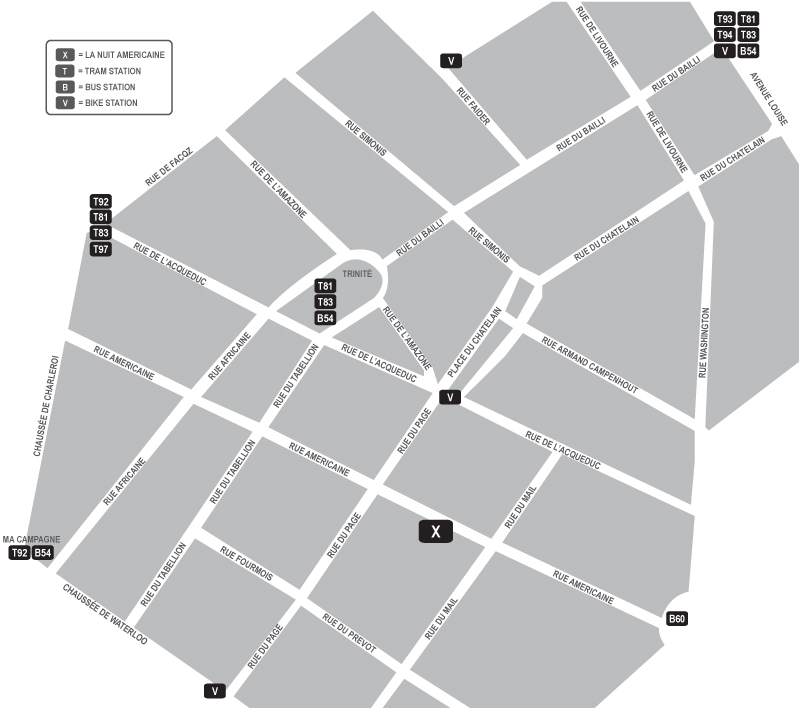 We can provide cards that allow you to park on all streets of Ixelles for 5 euros per day. Some indoor parkings are available in the area, ask for more infos if needed. Brussels is the perfect spot to access other Belgian cities and European capitals.